Montenegrin journalist Sead Sadiković. Screenshot from TV Vijesti. Police in Montenegro say they believe that a car bomb that exploded in front of the home of Montenegrin journalist Sead Sadiković on April 1 was a targeted threat. 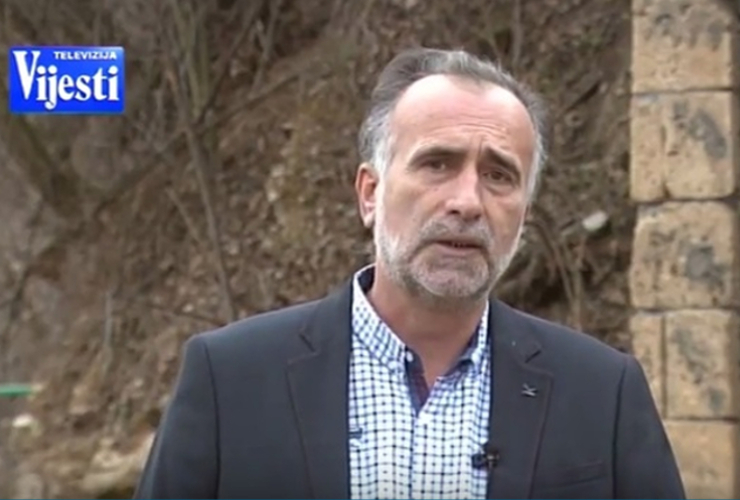 Sadiković, a journalist known for a critical weekly show on TV Vijesti and for his reporting on corruption and organized crime in Montenegro, escaped the explosion late Sunday evening in the town of Bijelo Polje unharmed. The car in question did not belong to Sadiković, but was rather rented and registered in Belgrade. Authorities yesterday detained two suspects, both related to the owner of a museum Sadiković had published a story about. Police believe the motivation behind the attack was to threaten Sadiković in response to his work. However, Sadiković believes the real culprits behind the attack are still on the loose, according to a colleague and the vice-president of the Trade Union of Media of Montenegro, Radomir Kračković. In an interview with the International Press Institute (IPI), Kračković said that Sadiković had received two additional threats in the last few months, but that the police had not taken any action. IPI Deputy Director Scott Griffen praised Montenegro’s swift reaction to the bombing but emphasized the need for a complete investigation. “Yesterday’s arrests are a positive step, but we urge authorities to ensure a complete investigation that brings the masterminds behind this violent act of intimidation to justice”, he said. According to Kračković, attacks against journalists in Montenegro usually go unsolved, and the swift action of the police in this case has been surprising. This time, the explosion came in the wake of serious criminal attacks during the same week in the country’s capital, Podgorica, which left three people dead and the country in shock. 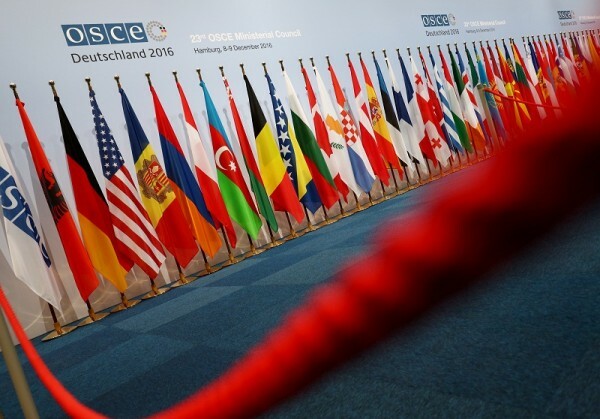 Following intensified gang-related violence, the National Security Council on Sunday announced new measures to fight organized crime in Montenegro. Kračković said that the public outrage over the worsened security situation pressured the police to react quickly to all attacks, which possibly led to the quick reaction in Sadiković’s case as well. “The police have now shown that they are able to solve the cases if there is political will”, Kračković said. For Kračković, attacks on journalists remain the biggest problem for media freedom in Montenegro, together with the difficult economic situation, which limits the possibilities of free and independent reporting. 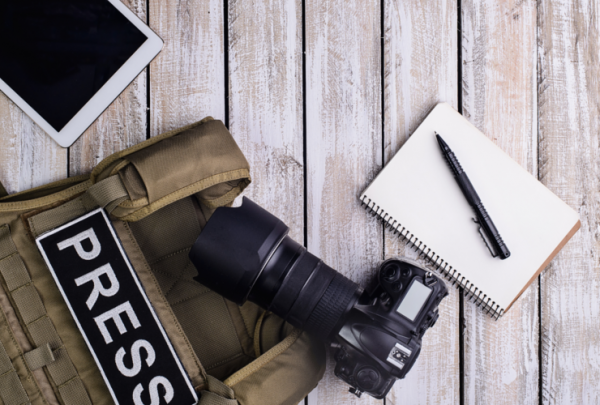 The troubling media freedom situation is not restricted only to Montenegro: Across the Western Balkans journalists face threats, assaults and pressure from different directions, including the state authorities and other media. Kračković said that while Serbia might have the biggest problems with media freedom in the region at the moment, Montenegro struggles with the same phenomena of smear campaigns, impunity, a deeply divided media landscape and a negative attitude towards media from state authorities.